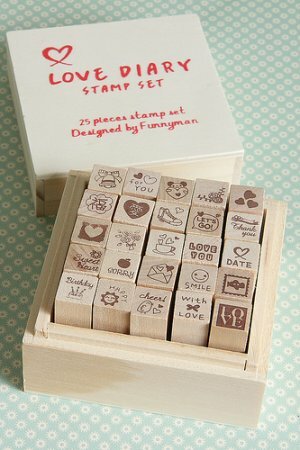 The cute rubber stamp set comes in a cute wooden box and nicely wrapped. Perfect to use for scrapbooking, journals, gift packaging, and any other creative crafty projects. Also makes a great gift for someone! - 25 stamps as a set.